Forming good habits can be hard, but if you do, it can change your life. 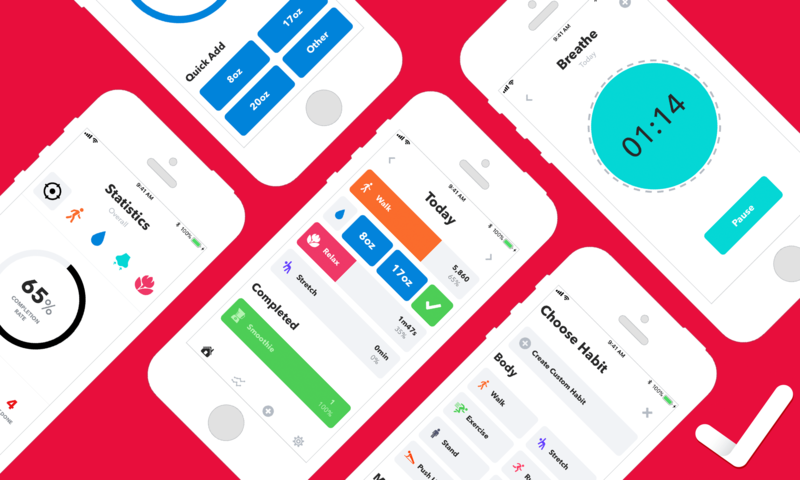 HabitMinder makes it easier to form new, healthy habits than ever before. Each goal you set in HabitMinder has a dedicated screen. There are so many built-in habits that you’re likely to find one that suits your needs, but you can set up your own too. Next, personalize your habit by picking from dozens of colors and hundreds of icons. To stay on track, set reminders for yourself, so you never forget about your new goal. From HabitMinder’s Today view, you can swipe left on a goal to reveal quick actions, so you can get in, log a habit, and get out in seconds. HabitMinder has a widget and an Apple Watch app too. When you want to see where you stand, check the Statistics screen for an overview of your progress. Up next for HabitMinder is iPad support and iCloud support. HabitMinder has a pure black mode coming for iPhone X users too. Habits are hard to form but can lead to meaningful change like Sally Rooney’s recent story in The New Yorker of how her fainting spells were cured by tracking her water intake with our other app, WaterMinder. So whatever your goal, download HabitMinder today to get started. Special Offer: Sign up for our newsletter with this link by December 1, 2017 and you’ll be entered to win one of 25 promo codes to create an unlimited number of habits in HabitMinder. Thanks to HabitMinder for sponsoring MacStories this week.